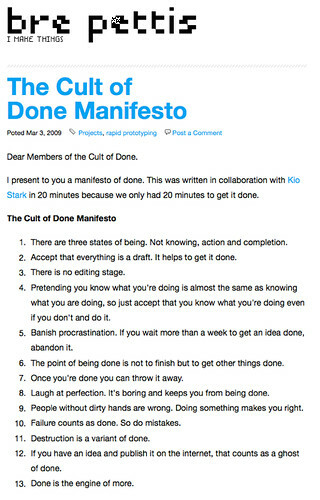 Cult of Done Manifesto, originally uploaded by bre pettis. Thanks to swissmiss and psfk for the heads-up on this. I found it very helpful at work and at home. Thoughts? I was so inspired in fact... I put the manifesto in wordle.net. 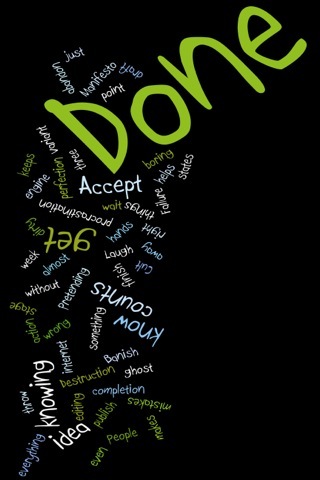 I've sized it for the iPhone... so download it... upload it to your iPhone and get done.